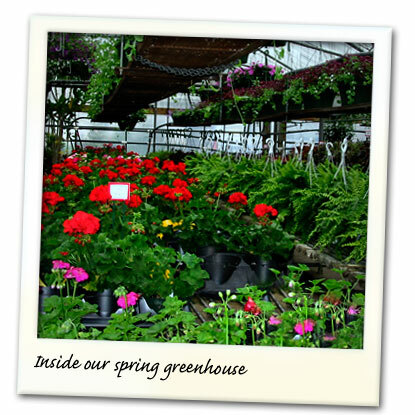 Mary’s Greenhouse is a locally owned florist and plant grower in the heart of WV. We grow an incredible variety of high-quality vegetable, flower, and landscape plants. We love plants. We live and breathe begonias, alyssum, chrysanthemums, and ferns. Call us crazy but we love to get our hands dirty in our work. Mary's selection of flowers and plants are unusual and we like it that way. It's our plan. We want you to come here and find something you can't find anywhere else. Our horticulturalists look for those special landscaping plants that are tailored for the WV climate and soil. And we carry the highest quality, freshest inventory around. Ask us about our tree and shrub guarantees. Owner Larry Gouer has 44 years in the greenhouse business. He's a WV Certified Horticulturalist and he's the heart of the operation. Mary's Greenhouse is his vision. He works hard to make sure you get what you came for and that the trip was worth it. Larry's team includes experienced horticulturalists, florists and all-around plant people and they're here to serve you. And just in case you want someone else to do your gardening for you, we have that covered too. Matt Davis is Larry's partner in Terra Flora Landscaping—call them if you want the most elegant outside living space in these parts. We're your neighbors. Just like the plants we sell we're locally grown. We believe in growing our community, too. We show our support by donating landscape design for many non-profits. At Mary's, you get more than uncommon plants. You get uncommon service.